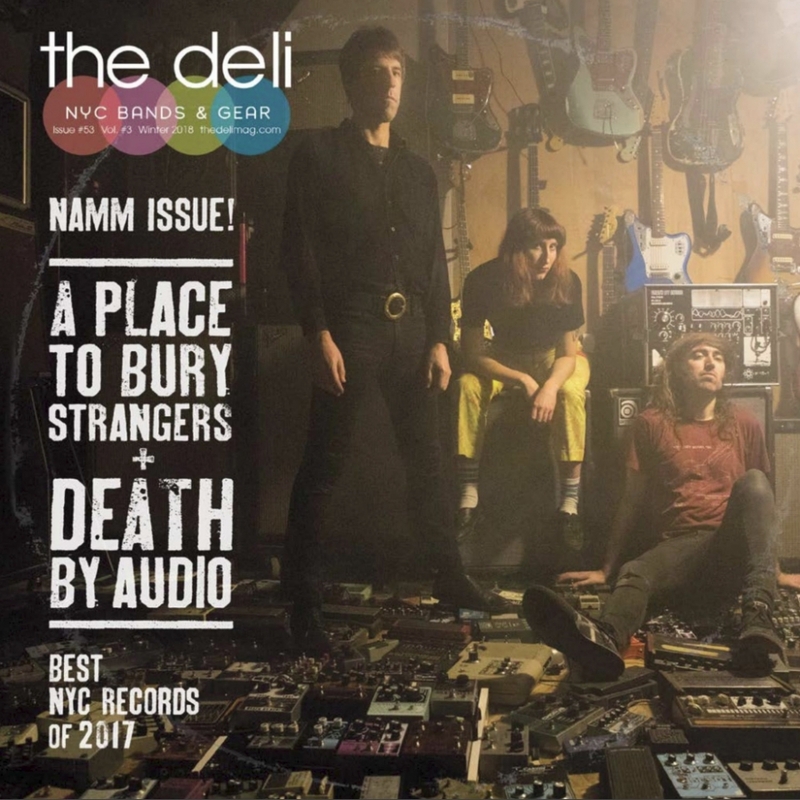 A Place to Bury Strangers on the cover of The Deli's NYC / NAMM Issue 2018! The Winter 2018 issue of The Deli NYC (our 53rd!) is now available for you to read online, here! This is also the first NAMM issue of The Deli, since a week from today we'll be at the Californian musical instrument convention with a huge booth full of guitar pedals! That's why we took the opportunity to put on the cover of our magazine the legendary Brooklyn noise rockers A Place To Bury Strangers - a band that makes their own stompboxes, called Death By Audio. The issue features a lot of other local artists (and their pedals) and also an article about the best records of 2017 by emerging NYC Artists - check it out! Here's a playlist of the artists featured in the issue.